BNSF Railway has released details of its planned $80 million capital program in New Mexico this year. The investment is in addition to the $545 million invested in the state during the past five years and is part of BNSF‘s $3.3 billion capital program announced at the beginning of February. The railroad has also outlined state capital plans for Nebraska, Illinois, Oklahoma, Texas, Kansas, Missouri, Montana and Washington state. The Class I explains that roughly half of this year’s plan in New Mexico is focused on maintenance projects while the remainder of the plan will go toward track expansion projects. The Gallup Subdivision, between Belen and Dalies, will see the start of a two-year project to construct 10 miles of third mainline to enhance capacity along the Southern Transcon route. 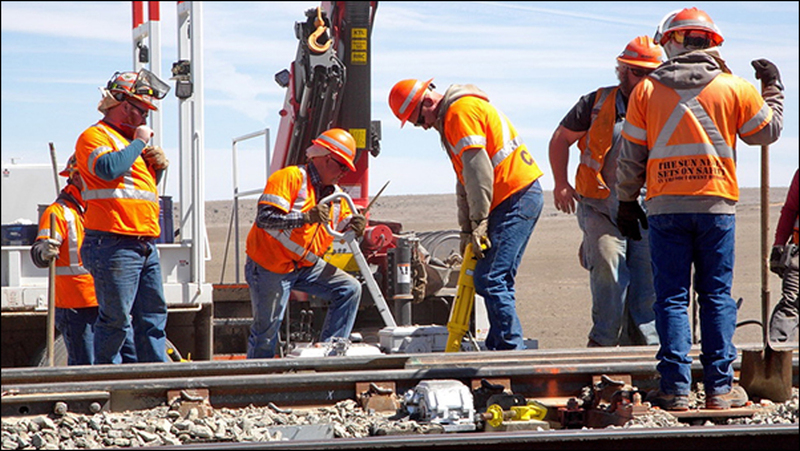 The 2018 maintenance program in New Mexico includes approximately 1,600 miles of track surfacing and/or undercutting work, as well as the replacement of nearly 15 miles of rail and more than 110,000 crossties. BNSF has invested approximately $545 million to expand and maintain its network in the state over the past five years. “The Southern Transcon is the rail equivalent of a superhighway, making it an ideal route for high-priority, containerized traffic. The construction of the third main line between Belen and Dalies as well as scheduled maintenance activities for 2018 show our dedication to our customers to provide a safe, efficient and reliable network,” said Keary Walls, general manager of operations, Southwest Division.